It’s 2018, and it’s time for everybody to make their New Year resolutions. That doesn’t just mean those plans to join a gym, or to cut down on the cakes, it also applies to your inbound marketing efforts and how you can generate more leads for your business by following the inbound marketing New Year resolution list. Ah, the old reliable eBook: The carrot at the end of the stick you use to entice consumers to share their contact details with you. It’s long been used as a way to not only generate leads, but also show your expertise and offer value. That, however, is changing, because people simply aren’t looking online in the ways they used to. Instead, create content in the form of quizzes, surveys, interactive landing pages, video and online animation to present helpful, relevant and entertaining material your audience will actually want to look at and complete. When it comes to blog writing, we tend to focus on getting as many articles out there as possible in order to prove our expertise in, and knowledge of, a wide array of subjects relevant to our industry. That means that room full of monkeys typing away endlessly (or that small team of content creators) is going to great lengths to produce content non-stop, day after day. However, we have reached the stage where the internet is saturated with content. Search for anything online and the chances are you will be met with page after page of results. The route to success is not to make sure you are included amongst these, but to ensure you are on the first page, because that is pretty much the only page people are going to look at. Email Workflows With No Personalization. If you send out a series of emails that will apply to a large contact list, you really shouldn’t expect to see high engagement rates. Today, it’s all about personalization, so you need to send a targeted email personalized with relevant content based on the contact’s demographics, online behavior and recent engagement level. Remember where your audience is on the buyer journey, if they are even on it, and create the content most likely to drive them along the conversion path. Leads are good, but qualified leads are better, and we want to attract these to our business to ensure we focus our efforts on the right people, at the right time. To do this, we tend to create lead-scoring algorithms that define how likely a lead is to become a customer. But we can take this too far, and an overly complex algorithm just slows down the conversion process and creates more work for us. Creating organic content on Facebook is, therefore, unlikely to bring you any real benefits. The social media colossus may not have started out with the business plan it now has, but the way it works currently means that to stand any real chance of having your audience see your content, you need to put some resources into boosting it through Facebook Ads. It is an extra cost, but you will have to consider using boosted posts and advertising to increase your reach and get your content in front of the right people at the right time. While email is still very effective at nurturing leads, sending out a load of them in the hope that they resonate with your decision-maker audience is unlikely to get you the results you want. Instead, use account-based marketing to target a defined set of people with personalized content. Consumer behavior has changed so much in recent years, and today, your audience is all about multimedia, not just the traditional text content. The need for good images and the popularity of video is well known, but audio is also gaining ground. 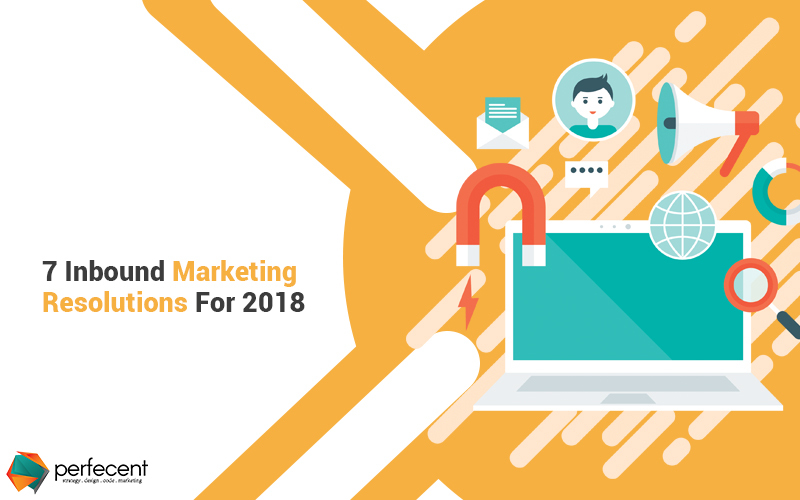 While we may be reluctant to stop using the inbound marketing strategies and techniques that have served us well in the past, the landscape has changed so much in recent years that it has become necessary to evolve. As we start 2018, now is the perfect time to get rid of those old strategies and ensure that your business or agency has a very Happy New Year.